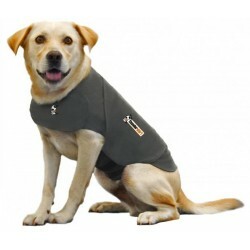 Natural Animal Solutions® TravelEze will allow more families to enjoy the company of their pet whilst they take day trips or longer vacations. 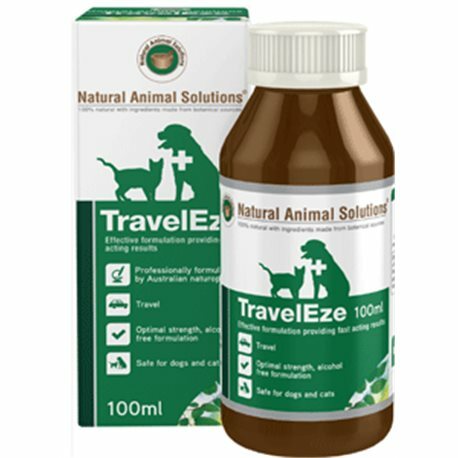 Natural Animal Solutions® TravelEze will allow more families to enjoy the company of their pet whilst they take day trips or longer vacations.Natural Animal Solutions® TravelEze has been formulated to settle an ‘unezy’ stomach caused by travel motion sickness whilst settling the nerves of your stressed companion without causing drowsiness. With canine motion sickness affecting 1 in 4 pets, Natural Animal Solutions® TravelEze will allow more families to enjoy the company of their pet whilst they take day trips or longer vacations. Natural Animal Solutions® TravelEze has been formulated to settle an ‘unezy’ stomach caused by travel motion sickness whilst settling the nerves of your stressed companion without causing drowsiness. In a base of the finest quality herbal tinctures, combining the power of Ginger, Withania and Chamomile. Natural Animal Solutions® TravelEze has been formulated for maximum concentration and effectiveness.